Today, clicks are catching up with bricks, and traditional retailers are struggling to keep pace with the rapid evolution of the ecommerce industry. Indeed, with just a swish of the thumb, consumers are granted access to a dizzying array of items- in seconds we can find what we are looking for. And even when we aren’t looking, the eerily clairvoyant advertising from Google and Facebook regularly tempts us with new products, directing us to retailers’ websites (and as we know our instant-gratification seeking society can resist everything except temptation). The Office for National Statistics calculated in January last year that 14.6% of retail sales took place online, representing a 10.1% year-on-year increase. And with the sheer convenience of online shopping with no crowds or heavy bags, free-returns, instant online payment systems and infinite choice, it’s hardly surprising that our society is increasingly leaning towards this alternative. But to remain competitive in this .com environment and keep up with the rapidly evolving consumer expectations, retailers must ensure that they are integrating the latest technologies. Obviously, this is not just about moving the store online. The ‘Amazon effect’ means that consumers are demanding a greater variety of products on the same platform: we pack our virtual trolleys unsystematically with light bulbs and Barbies and expect it all to arrive the next day. Indeed, a YouGov survey from last year stated that 52% of 2,040 consumers surveyed favoured next-day delivery over any other delivery option. As Prime-mates, our need for immediate commercial satisfaction is fulfilled, but we expect more and more from other retailers. To match these rapidly evolving demands, UK retail giants including Tesco and John Lewis are increasingly relying on dropshipping. In short, dropshipping enables retailers to ship online orders directly from suppliers to consumers without physically having to hold the stock themselves, thereby increasing competitiveness with faster, more efficient delivery processes and reducing the need for vast warehouses. Smaller players are also turning to dropshipping as an effective method to build a business without needing to invest in complicated logistical systems. But dropshipping hasn’t always been plain sailing, nor is it anything new. In fact, dropshipping has been around since the 90s, but historically gave rise to a plethora of problems. The main challenge was with managing suppliers, which can often number in the thousands for larger retailers. As a result, retailers could be left unaware of certain suppliers’ stock levels, shipping status or customer satisfaction, inducing fragmented and disjointed processes – the result of which was a disproportionate number of customer complaints from dropshipped orders. In addition, PwC reported that budget constraints, too many legacy systems to change, and difficulty in integrating existing systems were further issues holding back wider implementation of dropshipping operations. 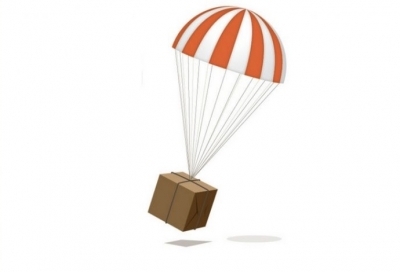 But, ultimately, dropshipping is all about expanding range, increasing reach and reducing the cost to serve, while maintaining and/or growing customer satisfaction. When done right, it’s a useful barometer for the health of any business. The secret to success here lies within one centralised, digitalised hub, through which all orders, inventory levels and product data can flow, including all data from external suppliers. This enables retailers to monitor product life-cycles, orders, stock levels and delivery status in real time, leaving previous dropship pitfalls on the shelf, and providing a consistent brand experience for the retailer regardless of the channel of fulfilment. And it isn’t about uprooting all existing systems either; an agile infrastructure should be able to connect the existing (and often fragmented) landscape elegantly, while proving flexible in the face of future challenges. As such, early adopters of innovative technologies will be better positioned to evolve and react to new demands and market changes. So in this digital environment, standing still – at least in terms of modernisation – is frankly not an option for retailers. Those that do so will be vulnerable to risks that can be addressed easily by new technologies. Indeed, the findings from KPMG’s annual retail survey are concerning for those who aren’t implementing innovative dropship solutions; it notes “a growing void between customers’ experiences of the high-performing brands and the rest of the 100-strong index, whose performance has consistently declined”. According to the study, those that performed best were predominantly new entrants that were free from the shackles of outdated supply chain processes. As such, the age-old axiom ‘the customer is always right’ prevails; in the end, those that can’t deliver in terms of end-user satisfaction and evolving demands will be blown out the water.